Help with new air filter. The problem is my 2nd generation Prelude has carbs. So what do I do fit the new filter on the beginning of the air intake pipe and just take the stock filter out of its housing. Re: Help with new air filter. yeah well its a metal air box thats directly fitted to the engine. 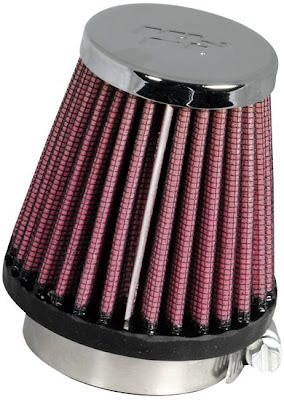 And I already bouht one of these because a K&N is the best but also the most expencive so do I just fit this to the inlet pipe of the air filter and the remove the stock filter from its housing? Ummm.... I guess so, I mean I don't see why you couldn't haha. that does sound pretty badass. But I kind want to keep my car in such a state that I can easily turn it back to stock. So cutting off the metal air box isn't really something I want to do. But thanks for the help everybody!